The Beqaa Valley (Arabic: وادي البقاع‎‎, Wādī l-Biqā‘, Lebanese [bʔaːʕ]; Armenian: Բեքայի դաշտավայր), also transliterated as Bekaa, Biqâ and Becaa and known in Classical antiquity as Coele-Syria, is a fertile valley in eastern Lebanon. It is Lebanon's most important farming region. Industry also flourishes in Beqaa, especially that related to agriculture. 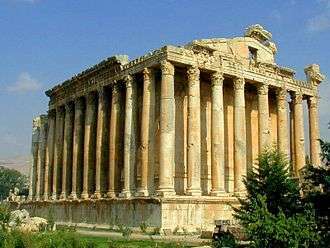 The Beqaa is located about 30 km (19 mi) east of Beirut. The valley is situated between Mount Lebanon to the west and Anti-Lebanon mountains to the east. It forms the northeasternmost extension of the Great Rift Valley, which stretches from Syria to the Red Sea. 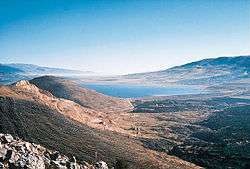 Beqaa Valley is 120 kilometres (75 mi) long and an average 16 kilometres (9.9 mi) wide on average. It has a Mediterranean climate of wet, often snowy winters and dry, warm summers. The region receives limited rainfall, particularly in the north, because Mount Lebanon creates a rain shadow that blocks precipitation coming from the sea. The northern section has an average annual rainfall of 230 millimetres (9.1 in)), compared to 610 millimetres (24 in) in the central valley. Two rivers originate in the valley: the Orontes (Asi), which flows north into Syria and Turkey, and the Litani, which flows south and then west to the Mediterranean Sea. 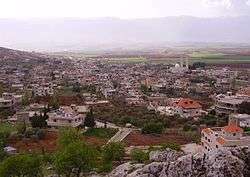 Zahlé is the largest city and the administrative capital of the Beqaa Governorate. 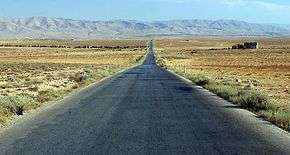 It lies just north of the main Beirut–Damascus highway, which bisects the valley. The majority of Zahlé's residents are Lebanese Christian, including those who are Melkite Greek Catholic, Maronite Catholic, and Greek Orthodox Christians. 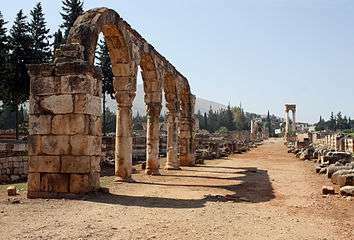 The town of Anjar, situated in the eastern part of the valley, has a predominately Armenian Lebanese population and is also famous for its 8th-century Arab ruins. The western and southern districts of the valley also have a mixed population of Muslims, Christians and also Druze. The town of Jib Janine with a population of about 9,000, is situated midway in the valley, and its population is Sunni. 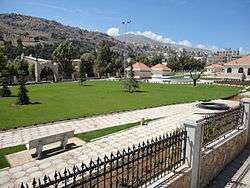 Jib Janine is the governmental center of the region known as Western Beqaa, with municipal services like the emergency medical services (Red Cross), a fire department, and a courthouse. Other towns in the Western Beqaa district are Machghara, Sabghine, Kamed al Lawz, Qab Elias, Sohmor, Yohmor. These towns are all a mix of different Lebanese religious confessions. Rachaiya al Wadi, east of the Western Beqaa district, is home to Lebanon's share of Mount Hermon and borders Syria also. The district's capital, also Rachaiya al Wadi (as not to confuse with Rachaiya al Foukhar in South Lebanon), is famous for its old renovated souk and what is known as the castle of independence, in which Lebanon's pre-independence leaders were held by French troops before being released in 1943. The southern section of the district is inhabited with Druze and Christian Lebanese, while the other northern section is mainly inhabited by Sunni Lebanese. The Beqaa Valley is home to Lebanon's famous vineyards and wineries. Wine making is a tradition that goes back 6000 years in Lebanon. With an average altitude of 1000 m above sea level, the valley's climate is very suitable to vineyards. Abundant winter rain and much sunshine in the summer helps the grapes ripen easily. There are more than a dozen wineries in the Beqaa Valley, producing over six million bottles a year. 1 2 Global eye - Spring 2006 - Eye on Lebanon - The Bekaa Valley Archived October 11, 2006, at the Wayback Machine. ↑ "chateauksara". chateauksara. Retrieved 10 September 2013. ↑ "Chateau Musar". Chateau Musar. Retrieved 10 September 2013. ↑ "Lebanese wine". Massaya. Retrieved 10 September 2013.